Have you made the case for content curation within your organization? Don’t think that your firm needs content curation, then look at these content marketing facts and see if you’re ready to reconsider. 93% of B2B businesses use content marketing according to Content Marketing Institute and MarketingProfs 2014 research. On average content accounts for 30% of their marketing budget. Despite this focus on content, 55% of businesses have trouble producing enough quality content and 39% of businesses have trouble getting sufficient budget for their content efforts. 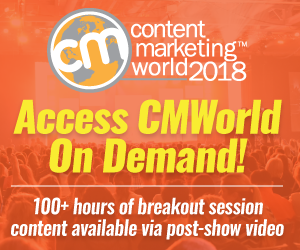 Regardless of where the resources come from, marketers must fill this content gap because B2B customers are more than 58% of the way through the purchase process before they contact you. They’ve done their research and homework online, applying the same behavior they use as consumers. To remain competitive, your business must be visible and findable across owned, social media and third party platforms using a mix of content offerings. Continuing to create more and more quality content is expensive. Further it contributes to your organization’s me, me, me refrain on social media and other platforms. As a result, marketers need a more cost effective way to fill this content hole in their marketing plans. Content curation provides a less expensive solution to extending your content marketing budget. Content curation is cheaper than creating original content. Since you start with content that already exists, you eliminate a significant portion of the cost. Content curation fills holes in your editorial offering. 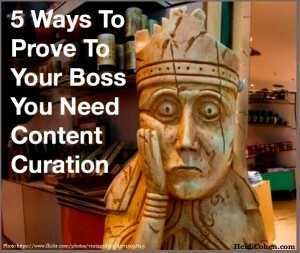 Use content curation to cover topics where you lack depth of in-house expertise. Instead of creating in-depth information, you provide context and commentary. Content curation leverages the power of other people’s content (OPC) Legally integrate your prospects and customers’ information. While only a small proportion of will contribute, make it easy for them to become a part of your content process. Content curation increases content reach. Content curation creates egobait. The person or website you reference in your content often will share your article or piece of content. Of course, when you feature the content on your site, you need to add to the conversation. Just aggregating links generally isn’t enough to attract attention. Content curation requires lower amounts of internal production resources. Since curated content starts with published content from other places, it does need the same level of editorial and technology work to get it in shape. Content curation extends life of existing content you already own. Auditing and cataloging your content across your organization, expands your content offering and makes it more useable at the same time. This has a big impact on your content marketing budget since you’re getting additional use at no cost. BUT don’t be misled—content curation is NOT free!!! Content curation requires budgetary resources, both people and money. Content Marketing Institute recently announced they’re hiring a Chief Content Curator. Further, it requires investing in a content marketing audit. This will highlight where you have useful content marketing assets that can be reused by cross-linking it to OPC. The bottom line: Content curation is a low cost way to fill you content marketing pipeline. Content curation enables you to provide context for other people’s content as well as to extend your reach. Effective use of content curation enables you to maximize the impact of every piece of content you’ve created to-date by categorizing and tagging it so that you know you own it and can utilize it easily when appropriate. Tags Business Case for Content Curation, Curation. Bookmark the permalink. Content Curation surely fills the gap for markters. Heidi can you please share how exactly to do content curation because I havent come across any good article on best ways to do content curation and what is the best platform to go with. Thanks Heidi, I found this really interesting. I think a lot of people are wary of content curation because it has been drummed into them that any sort of duplicate content is bad. However, I think when used appropriately it is a great tool in our arsenal. You’re essentially admitting a lack of knowledge in some area, finding an influencer who has knowledge, and translating their message for your target audience. Pretty cool tactic. Please understand that this doesn’t mean a complete lack of knowledge!!! See Robin’s comments below for further enlightenment on the topic. Holes are more a matter of depth on adjacent topics. Remember you don’t want to appear to be a fake on social media once you share the content. 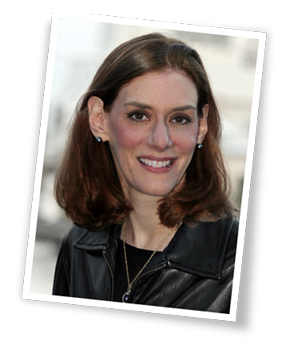 Hello Heidi, and thanks for the many valuable articles I have read from you. You really rock. On the front of curating content for content marketing purposes, I am having a different experience though. Curating content is only apparently less time consuming than writing new content. As a matter of fact a subject-matter specialist that can curate stories and report over a specific theme, is valued more and costs more than someone who can just write content on any topic. Finding references, researching, quoting, linking, contextualizing, vetting, selecting appropriate images and info to add is indeed a very time-intensive activity, which requires at least the same time needed to write a good article. On the other hand if you refer simply to the ability to pick interesting content and share with an appropriate intro to your audience, leaving everything else as is, I can definitely agree, that such approach can save truckloads of time. 1) Content curation fills holes in your editorial offering. Use content curation to cover topics where you lack depth of in-house expertise. Instead of creating in-depth information, you provide context and commentary. ********* Curating topics where you lack expertise or competence is a safe bet for losing credibility in the eyes of those who are indeed competent in that area and follow your stories. They can tell a good, quality, vetted and properly contextualized story from any attractively titled post with little meat and insight. 4) Content curation requires lower amounts of internal production resources. Since curated content starts with published content from other places, it does need the same level of editorial and technology work to get it in shape. *********** it all depends on what curation entails for who defines it. If it is about picking and resharing with others, yes, you are right, but if you ask me, and those who do this for a living, I’d say that level of editorial attention and tech support needed is much higher than the one needed to write a normal article. I’m honored that you not only read my content but also took the time to write such a thoughtful response. That said, in today’s deep well of information, a competent content curator can cover an adjacent niche where he/she lacks depth to create original content. Point #4] I appreciate your point of view on this point but curated content still doesn’t need creative input and inspiration. That doesn’t mean that the curator and related support still add a lot to the process including elements such as asset management that many content creators overlook. As someone who is still trying to separate heads from tails on the issue of content curation, I found this article quite helpful – especially the points of disagreement between Heidi and Robin. I struggle with curating because I come from a blogging background and want to add my commentary to everything I post. If I do too little, I feel like I’m acting as if I’m posting for Twitter or Facebook. If I post more, I want to write a full blog post. By the way, I found this article via Scoop.It: http://sco.lt/6peVk1. Would you consider the Scoop.it piece to be curating content? Just wondering.